Welcome to the website of FERRRUM.COM - record label to support Metal Music from all around the world! Excellent bands and artists we are currently working with. The band was formed in the autumn of 2008 in Zaporizhia (Ukraine), when some of the participants of group Mask of Loki decided to create a new project. Soon it was beefed up by new people. After a lengthy debate the team was named Defiant. Birthday of the band is considered to be the 23 of October. 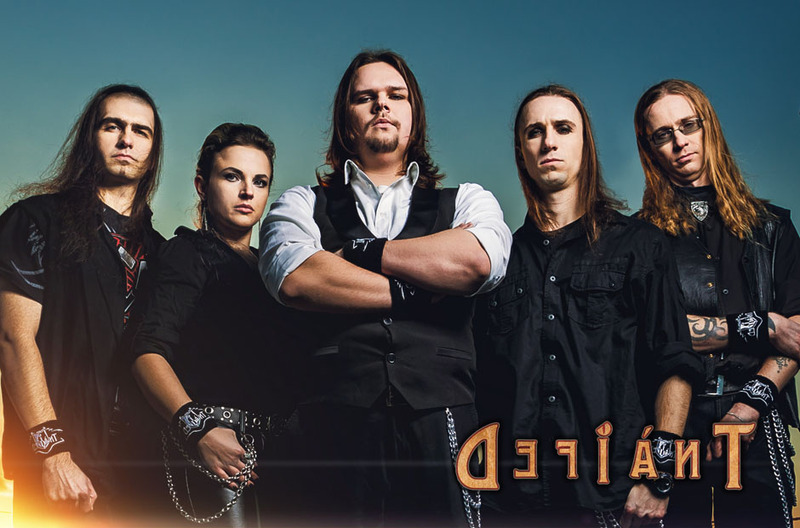 The band plays melodic heavy-power metal with the active use of elements of other genres. The main musical idea of the project is a harmonious combination of energy and melody. At the same time members of the band aren’t afraid to experiment and search fresh musical ideas. 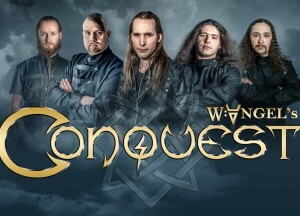 In the process of growing the band departed from the usual for power-metal mythological and fantasy themes, shifting the emphasis on social issues. In 2010 the band released debut EP “Those who want to see the light,” and presented it in Zaporizhia Rock Cafe Music Band Club on June 26. In 2011 the EP was re-released with the arrival the new vocalist. 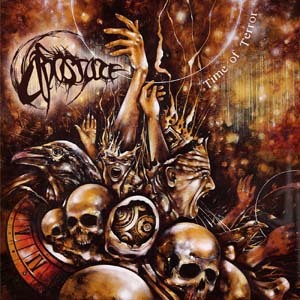 In 2012 the first full-length album “Masquerade” was released, including 13 songs. In the March of 2013 the album was released by Russian label Sublimity Records. Several songs of the album were published in a variety of Russian and Ukrainian rock collections. In early 2014 the band released single “Dying dragon” – the epic 10-minute track, which was recorded with singers and musicians from other well-known Ukrainian bands. 2014 was rich for changes in the composition of the band. In the spring singer Lobanov left the band, in late summer drummer Alexander Rassokhin also quits and soon bassist Grigory Romanov follows them. Only in November a new membership was completely formed. After that the band presented a new song “According to the acts” and a video of it. 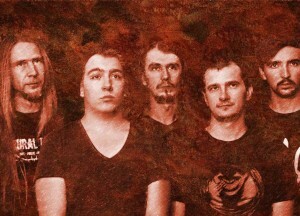 Band finished the year in the studio, where 5 songs from the first album were re-recorded with the new vocalist Olga Makarova. 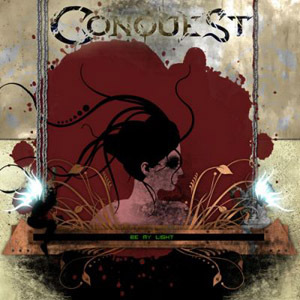 In consequence of this in early 2015 was released EP “Night”. 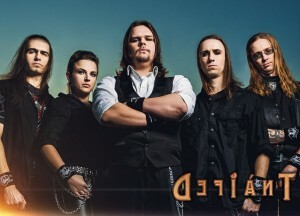 In late 2015 Olga left the band, and in the end of 2015 the membership was updated by new vocalist Stanislav Proshkin. 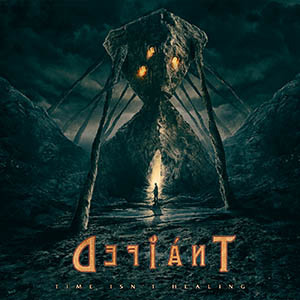 Band’s new album “Time Isn’t Healing” will be released on November 25, 2016 by FERRRUM.COM. The band already has a few dozens of concerts under it’s belt, including recitals and large-scale Ukrainian and international festivals, like biker rock fest “Wolnica”, rock fest “Snowstorm”, biker rally “Battle of Poltava”, rock fest “Za-porig”, biker fest “Rock Shock”, an international fest “Slavic Rock”, the international rock festival “kRock u maybutne”, etc. 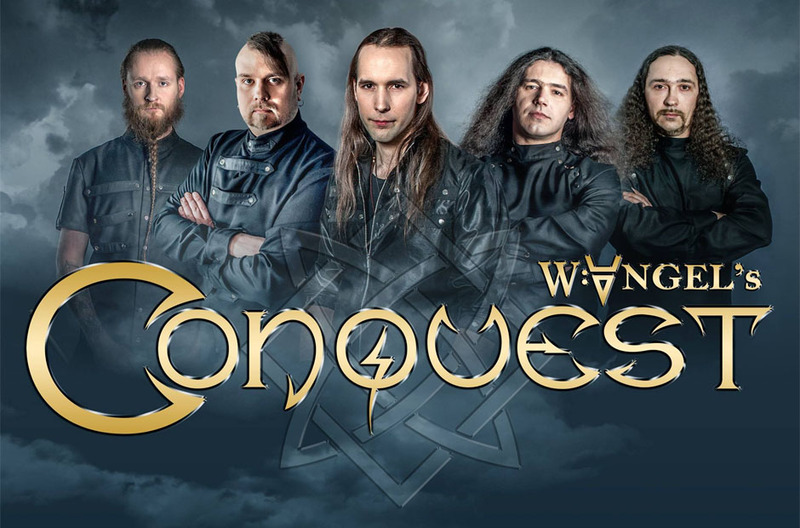 CONQUEST was formed in 1996 in Kharkov (Ukraine) as a solo project of the guitarist W. Angel, playing classic hard rock influenced by DEF LEPPARD. In 1997 the line-up was completed and band played their very first gig on January 7th, 1998. During this time band recorded two demos “Far Away” (1996) and “Made in Ukraine” (1997). 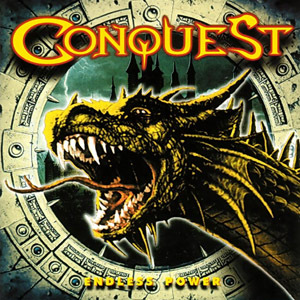 After a few changes in the line-up CONQUEST started to play faster music, switching from hard rock to power metal. 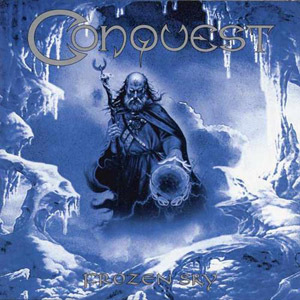 The first album titled “Endless Power” (2000) included melodic tracks combined with power-metal riffs and impressive vocals, but what made the sound of the band unique is the gentle use of Slavonic folk tunes in their music. The second album “Frozen Sky” (2005) was kept in the same aggressive but melodic style, hitting, compared to predecessor, more on keyboard arrangements. 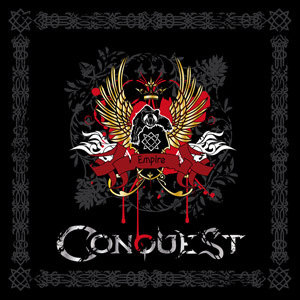 On the third album “Empire” (2009) band’s founder W. Angel for the first time took over vocal parts and did this job in perfect manner, showing his talent but not only as a guitarist, keyboardist, composer but also as vocalist. Next year the band introduced a new EP “Be My Light” (2010), consisting of three tracks which later were included in their fourth full-length album “IV” (2011) released by Quarter Century Flame, a division of Warner Music Japan. 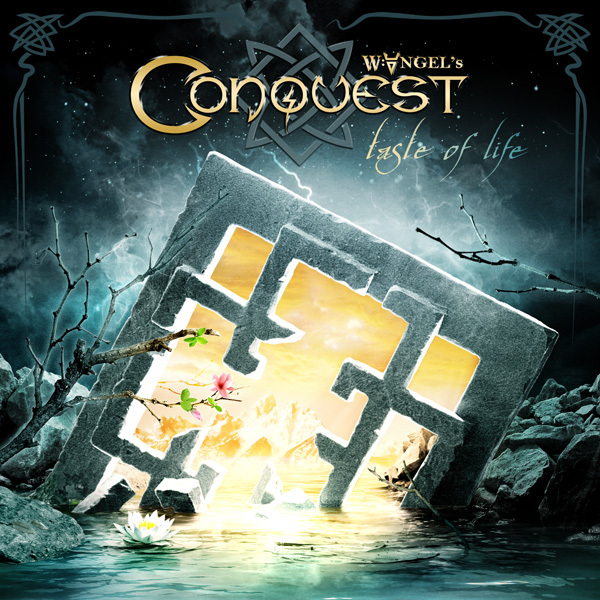 Around this time band decided to change the name to W. ANGEL’S CONQUEST to avoid naming collisions. In 2012 the compilation “Few Moments of Our Life” (2012) consisting of different rearranged tracks from all albums was released. In the summer 2012 band decided to take a dedicated vocalist who became a talented musician Konstantin “Laars” Naumenko, with whom the band recorded the new album “Taste of Life” (2015) which will be released by FERRRUM.COM on June 8, 2015. 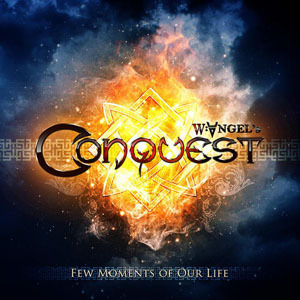 W. ANGEL’S CONQUEST are always keeping the high standards in their musicianship, creative power and arrangements, pushing their limits but nevertheless keeping a connection to their native folk music. 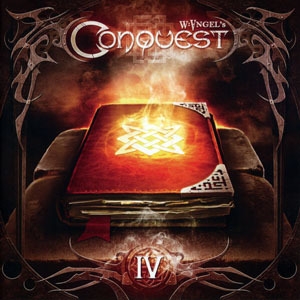 Definitely a top Power Metal band from Ukraine! In the year 1993 a new force in doomed up Death/Black Metal was spawned in the darkened recesses of Ukraine. APOSTATE was born out of a desire to create something that spoke of a sorrowful, lonesome existence and to bring an all-encompassing bleakness to an unsuspecting world. Originally started out as BLACK MOON FRANKNESS before taking the name APOSTATE and would go on to release their debut demo, “Consign to Oblivion” in 1995. The same line up would then unleash the “A Song of the Dead Lake” EP in 1997 before splitting up in 1998. 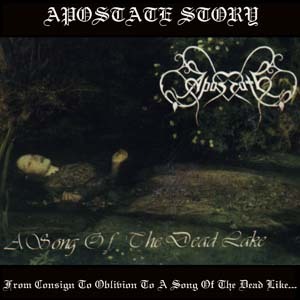 However just over a decade later in 2009 and following a 2007 released compilation of old works entitled “From Consign to Oblivion to a Song of the Dead Like…” APOSTATE would be dragged kicking and screaming from the grave by Alexander Kostko (bass), the bands only ever present member. 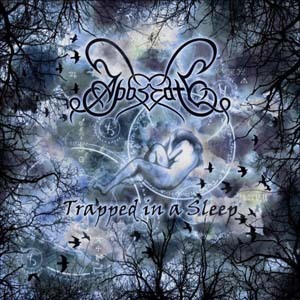 So came 2010 Kostko would see the release of APOSTATE’s debut full length album, “Trapped in a Sleep”. Now with their new line up firmly cemented APOSTATE, the oldest Ukrainian Doom Metal band, have spent their time playing across Europe and will soon unleash “Time of Terror”, their second album due for release early 2015. Be forewarned! 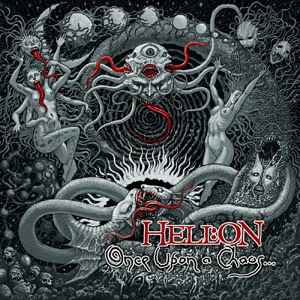 Melodic doom death with occasional swathes of plausibly melodramatic synth Well-played, well-recorded, and otherwise well-structured. 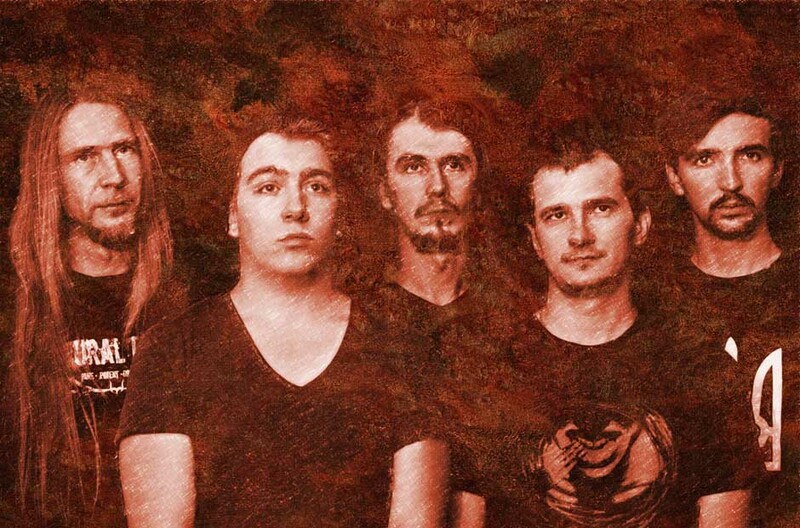 Ukrainian Doom Metal all-stars. This line-up has created an absolute work of art in Trapped in a Sleep. A magnificent collection of tunes entitled Trapped In A Sleep - epic in scope filled with a sonic atmospheres of devastation and despair. Deathdoom very focused on the traditional UK doom of early 90s. Brothers and sisters in Metal, “Trapped In A Sleep” is one of the best Doom Death albums I’ve heard in a long while. Apostate serveert ons dus death doom zoals het hoort. Trapped in a Sleep is een klasse debuut dat het verdient om gehoord te worden. The history of the Ukrainian band HELLION began in the spring of 2005. In the course of the creation of the songs it turned out that the musical material was a fusion of Thrash, Death and Progressive Metal, which corresponded to the different aspirations of the musicians. 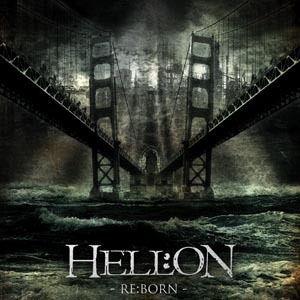 Having prepared the first demo, solemnly titled “Hellion”, the band was ready to take their material into the live setting. An international festival – Metal Heads’ Mission 2005 – became the first concert stage, where the musicians were passing a very serious competitive selection. 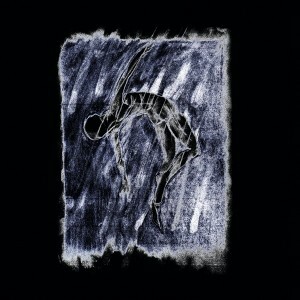 In 2009 the band recorded a new EP “In the Shadow of Emptiness” which was released as an Internet-single. After this release “Hells” (as friends had started referring to the band) commenced on their most active period of touring so far; performing live in such countries as Poland, Hungary and Czech Republic. During this time the band would begin work on what would eventually become their 3rd album. More extensive (and intensive!!!) touring followed in 2012. HELL:ON did several European tours; playing in such countries as Poland, Hungary, Czech Republic, Slovakia and Germany. 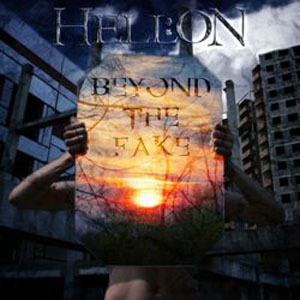 During this period HELL:ON took part in several international festivals including Metalfest (Poland). 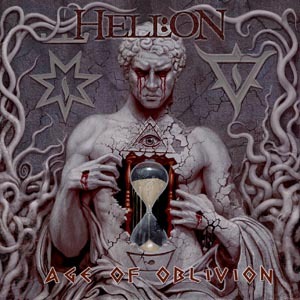 At the same time, the band continued to work on their third full-length album “Age Of Oblivion” which was finally released in July 2012. Jeff Waters from the mighty ANNIHILATOR guested on this album. 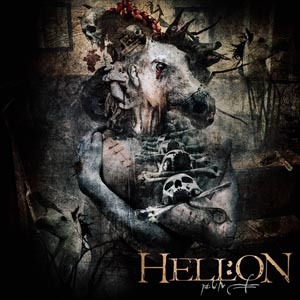 In the end of 2012 HELL:ON started to work on the fourth album entitled “Hunt”. Around the same time the band signed a label deal with newly formed German metal-label FERRRUM.COM. Recording sessions were finished in the summer of 2013. Such remarkable guitarists as Andy LaRocque (KING DIAMOND) and Marek “Spider” Pajak (VADER) starred on this album. 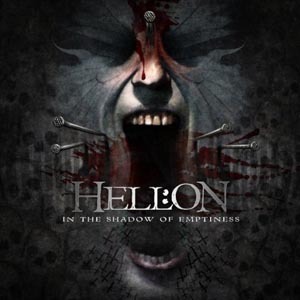 Front cover artwork was done by Seth Siro Anton, who is known not only as a vocalist/guitarist of SEPTIC FLESH but also as a talented artist who did artwork for such acts as NILE, PARADISE LOST, MOONSPELL, EXODUS, VADER and many others. This album was released on November 25th, 2013. To promote the new album HELL:ON joined the Hell Revisited European Tour as a headliner, touring Germany, Czech Republic and Poland in October 2013. Same year the band was nominated for The Best Ukrainian Metal Act 2013. In 2014 the band started to work on the new album “Once Upon A Chaos…”, and in the beginning of 2015 finished the recording sessions. This work is definitely a ground-breaking release for the band, and the most powerful work to date. Keeping their deep roots in Death Metal, the band decided to introduce some experimental features into their music via the use of some traditional instruments like sitar or goat-pipe, and they succeeded in this trial delivering to listeners a powerful and apocalyptic album! One has to mention also that guest guitar solo on the new album was performed by Andreas Kisser (SEPULTURA). To sum it all up, HELL:ON is probably the most dynamically developing Extreme Metal band from Ukraine – a country that already has a thriving metal scene. Without any doubt it holds the title of the ‘Most Touring Band’ from this county having shared the stage over the years with such metal giants as RAGE, KREATOR, AMORPHIS, ANATHEMA, NAPALM DEATH, ARCH ENEMY, SODOM, VADER, MEGADETH, WASP and others. 2015 "Once Upon a Chaos..."
I've never imagined such quality Metal from Ukranie! Surprisingly well executed! A brilliant modern thrash/groove metal album! 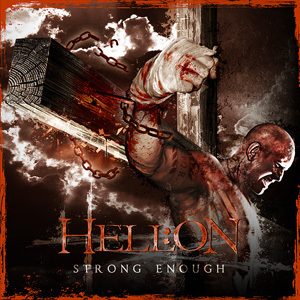 If you only check out one metal band you’ve not heard before this year, Hell:on should be it! Stunning! If groovy, guitar-oriented speed/thrash with a foul, aggressive vocalist is your thing, you must not pass up the opportunity to listen to this album! Ein harsches Thrash-Brett aus der Ukraine! 'Hunt' ist ein Ritt durch kompromisslose Gefilde, der jedem Death Metal-Maniac Freudentränen in die Augen treibt! Check out the info about releases we did. Catch our bands on tour in your country and/or city! Details about upcoming gigs are in this section. Infos about tours in the past by our bands. Check this section for updates on FERRRUM.COM activities. 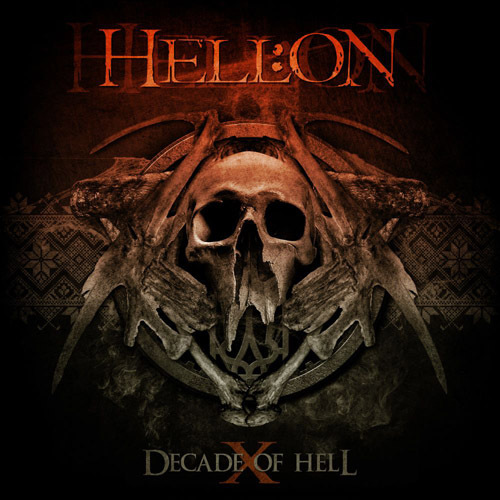 Today, June 15th 2015, we would like to present to you our new release, HELL:ON; “Decade of Hell”, a compilation dedicated to the 10th anniversary of this great Ukrainian band. The compilation gives the opportunity to get acquainted with the history of the band and listen to how their sound has evolved from 2005 to 2015. This release consists of the best tracks from the band’s five studio albums, including two songs from an as yet not released album. Ukraine’s oldest Power Metal band W. ANGEL’S CONQUEST presents their fifth album “Taste of Life”. Following the direction taken in their previous works, the band continue to employ folk tunes in the music and delivers a bunch of unexpected and complex passages in terms of composition and arrangements, leaving the speed and melody intact. The bands highly professional level puts them on a par with such masters in the genre as PAGAN’S MIND, CIRCUS MAXIMUS, SYMPHONY X, HELLOWEEN, at least in terms of musicianship. Definitely an unexpected release from Ukraine! We are pleased to inform our friends and customers that FERRRUM.COM is now officially relocated it’s business to Germany. Our new address is S. Gladkov, Loettringhauser Str. 64, 44225 Dortmund, Germany. Ukraine’s oldest protagonists of old school doom APOSTATE will unleash their hellish and horror inspired sophomore album “Time of Terror” which will let fans of Hooded Menace, Eye of Solitude and Uncoffined salivating at the prospect of this unholy feast of doomed death metal fury! 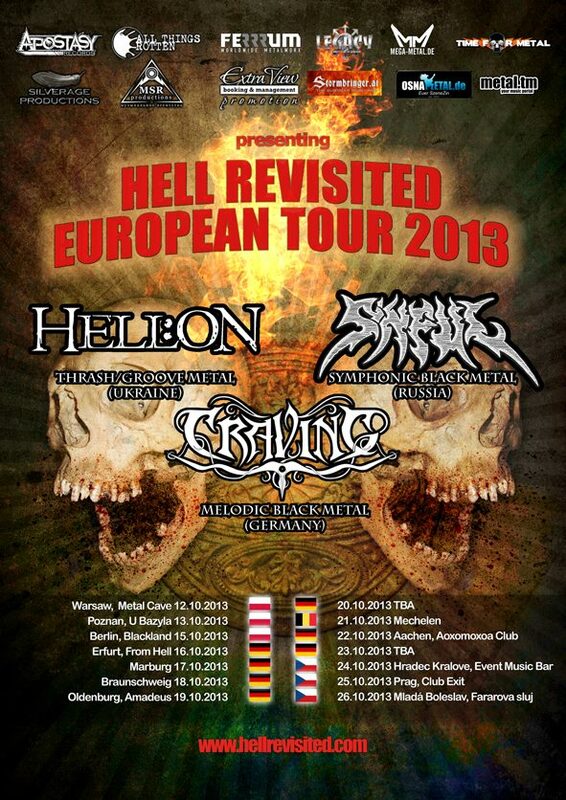 In October 2013, HELL:ON (UKR) shall take to the road, with support from CRAVING (GER), and SINFUL (RUS) touring Belgium, Czech Republic, Germany and Poland under the banner of the “HELL REVISITED TOUR 2013“. Death Metal-influenced Thrashers HELL:ON (who have shared the stage with MEGADETH, KREATOR, ARCH ENEMY and SODOM amongst many others) will celebrate the release of their new record “Hunt” whilst on the road. It will, amongst other things, feature contributions from the legendary Andy LaRocque (KING DIAMOND, DEATH, ILLWILL) and guitarist Marek “Spider” Pajak (VADER, ESQARIAL). Our new website is now online. Informations about the bands, releases and tour dates are added. FERRRUM is a German record label dedicated to support Metal Music in all its power and variety. To deliver high quality music to our listeners is our main goal! Support the Metal - it deserves it! Our local distributors in different countries are always at your service - wether you are running a record store or online shop. Contact us for getting our titles! We are always open for new deals and new markets. We love journalists, especially the ones who love our releases! Contact us to get promo packs with our newest releases. Drop us a note - we are in constant search for talented bands to join our label.